For 45 Years, the Bucks County Designer House & Gardens has supported the Village Improvement Association of Doylestown (VIA). This year’s house has been dubbed ‘Foxwood Manor’. Foxwood Manor is an 1830 farmhouse located in Jamison, PA. It’s nestled amidst nine lush green acres and shaded with outstanding trees. A walk along the gravel path under shade trees and into the house will show the transformation a team of more than 30 designers, landscapers and artists has achieved at Foxwood Farm. The skills and talents of the design team will bring to life the beauty of this stone-and-stucco home graced with six unique fireplaces and stone walls. The manor will have a lightened feel and designers will set a new mood and purpose in other rooms. Dramatic changes in the large kitchen and all bathrooms will be evident. Outside, stone walkways lead to beautiful gardens framed by stone walls, and to the courtyard salt water pool with adjacent tennis court. Visitors will enjoy the expansive pool house converted into an exotic vacation retreat and the original smoke house will become a vibrant artist’s studio. They will be able to browse and shop through two carriage houses containing several boutiques featuring home furnishings, clothing, accessories and handmade crafts and enjoy a light lunch with refreshments at the Hungry Fox café. Robinson Interiors will be designing rooms number 4 and 5, a Young Lady’s Bedroom and Bathroom. http://wp.me/pEVbo-5a Why GO to a Designer House Anyway? http://wp.me/pEVbo-4S What’s a Designer House Anyway? Designer Houses and Decorator Showhouses are a great way for Interior Designers to showcase their work. As a designer, it’s incredible fun to start from scratch and design a room that will be open to the public. However, it is often an extremely large expense for the designer, who is responsible for providing the entire contents of the room and its complete renovation. Yikes! 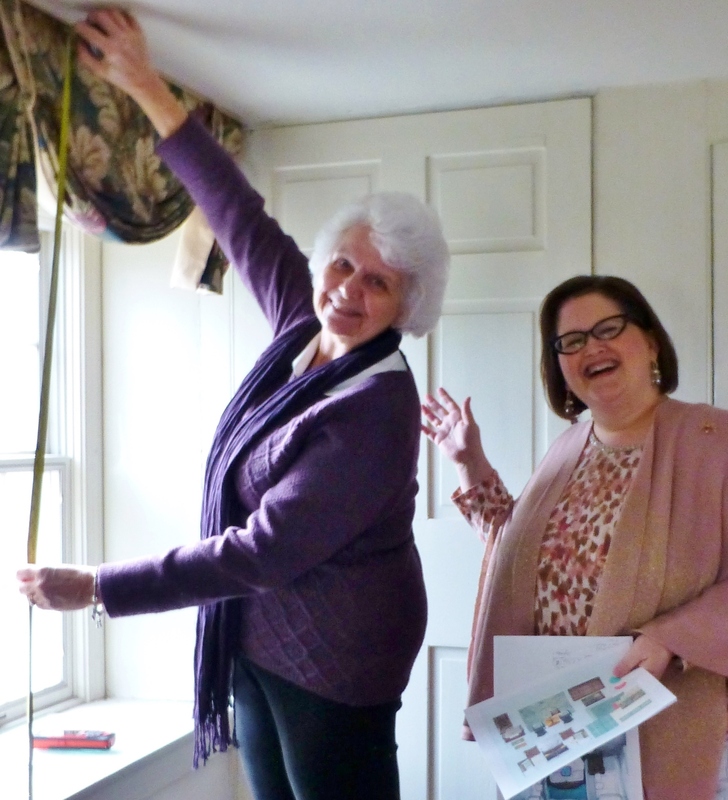 Here I am with my friend and drapery fabricator, Grace Rumer, measuring for the luxurious window treatments that will enhance the elegant bedroom I’m designing at Foxwood Manor. You can imagine just how much designing a whole room from top to bottom can cost. Everything from the paint supplies and labor, to custom draperies, fabrics, furnishings, rugs, artwork, lighting, accessories, etc. Not to mention the incredible amount of time and effort put forth by all those involved. Each and every designer and supplier participating in a designer house deserves your utmost respect! This year, I’m proud to say that I’m being supported by many of my wonderful vendors and artisans and I’ll be excited to share more info about each of them soon. I intend to walk you through the process and share about each of my fabulous suppliers and the amazing work they are doing to support my space in this year’s designer house. Just as I’ve done with past designer houses, I’m looking forward to sharing the entire journey, as I embark upon the transformation of this bedroom in the 2016 Bucks County Designer House. The “Empty House Party” is an especially enjoyable event. It’s a cocktail party, where visitors can preview the house in it’s raw state and view all the spaces before the designers and artisans begin their work. It’s so much fun to see the rough house on February 28th, then come back all dressed up for the opening gala on Friday, April 29th, for a fabulously fancy party with live music and spectacular food. The gala is the first time the public is invited to see the house transformed by all the talented designers and landscapers. Of course, the house is open to the public for tours during the entire month of May: May 1-29th. Stay tuned for much more info about my bedroom and its progress. I’ll try to share images, samples, and plans throughout the evolution of my space. I can tell you I’m really excited about the sumptuous fabrics I’ll be using in this bedroom and the elegant furniture will be a real knockout too. 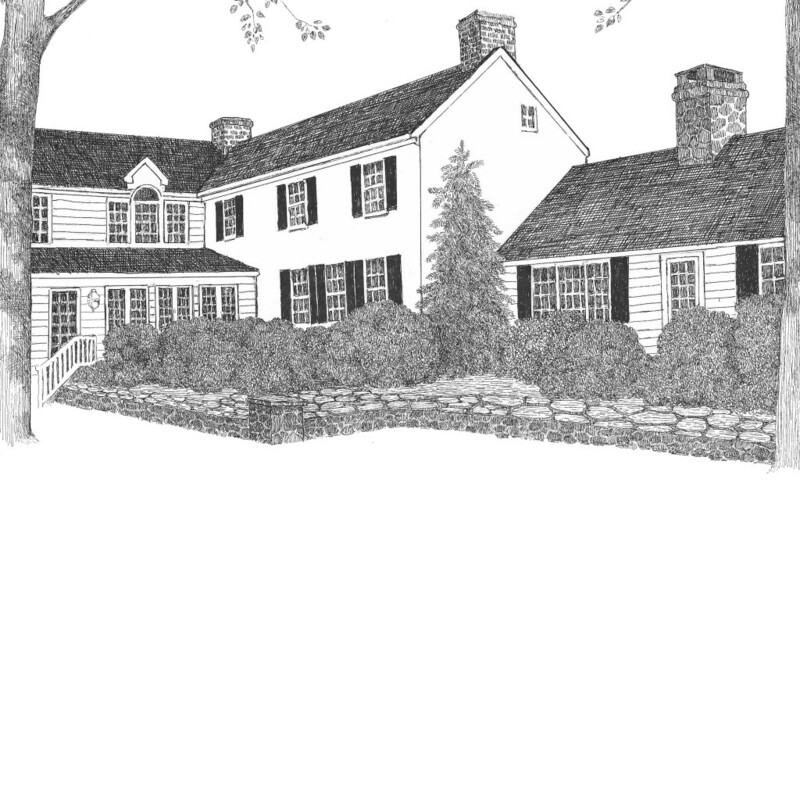 This entry was posted in Bucks County, Designer House, Interior Design & Decorating, Mansion, Robinson Interiors and tagged Bedroom, Bucks County Designer House, Decorating, Decorator Showhouse, Design, designers, Empty House Party, Gala, Interior Decorating, Interior Design, Kristine Robinson, Renovation. Bookmark the permalink.